Bernard J. Natale received his Bachelor of Science (B.S.) from Illinois State University in 1973 and Juris Doctor (J.D.) from John Marshall Law School in 1977, graduating with distinction. He was admitted in 1977 to the Illinois and U.S. District Court, Northern District of Illinois. He is also admitted to the Federal Trial Bar. 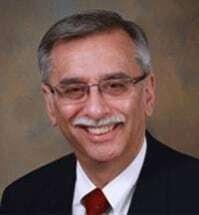 In 1987, Mr. Natale was admitted to the U.S. District Court, Eastern Division of Wisconsin, and the U.S. Court of Appeals, Seventh Circuit in 1990.